Large and vivid tropical flowers are featured on this men’s vintage cotton Aloha shirt with bright Hawaiian print and button loop. The solid weight shirt consists of a thick cotton fabric in a two-toned Tahitian style colorway of bright royal blue and white. 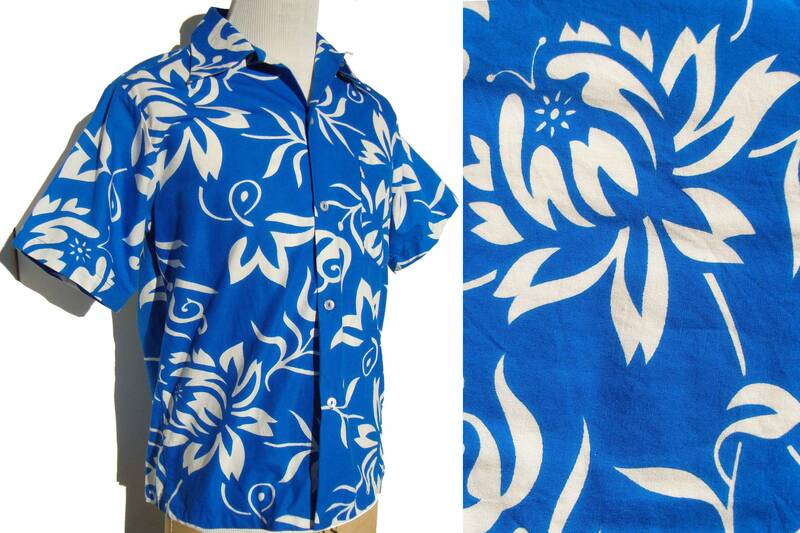 It has short sleeves, pointed collar with button loop, button down placket, single patch pocket, and an embroidered label for “Made in Hawaii”, with a size of “M” (although it fits more like a “large), and registered number.